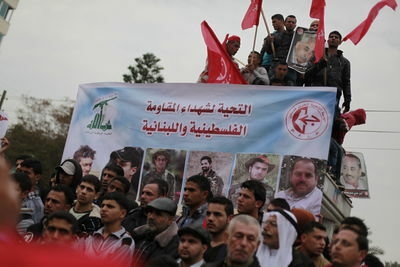 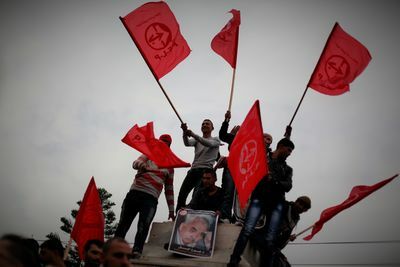 The Popular Front for the Liberation of Palestine (PFLP) holds a rally in Gaza in support of Lebanese Hezbollah movement. 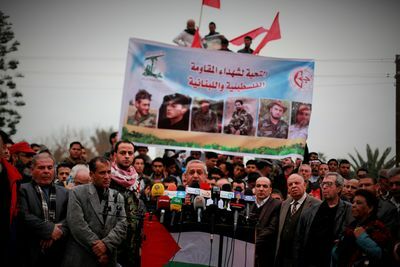 The rally was held as a show of solidarity with Hezbollah after one of their key figures was assassinated in an Israeli airstrike in the Syrian controlled Golan heights. 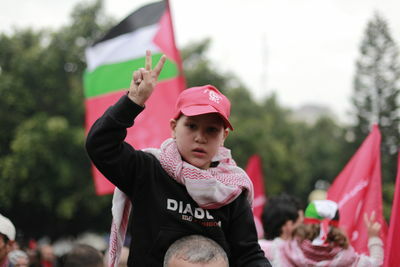 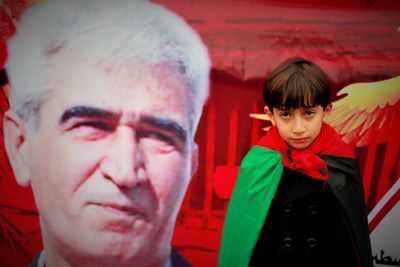 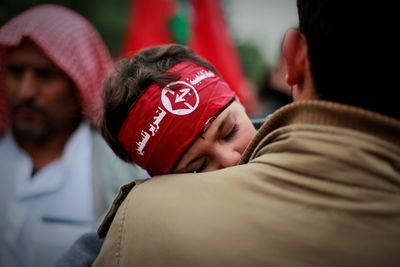 While no longer the formidable military organization it once was, the PFLP maintains a political role in Palestinian society and has strong ties with both Hezbollah and the Assad regime in Syria. 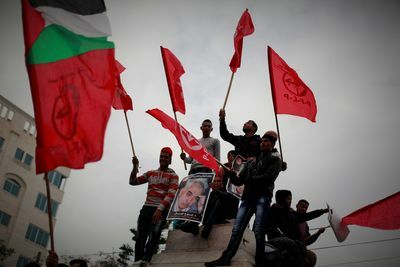 The Popular Front for the Liberation of Palestine (PFLP) holds a rally in Gaza in support of the Lebanese Hezbollah movement. 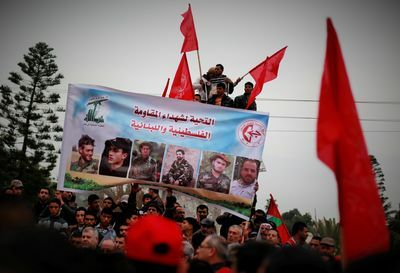 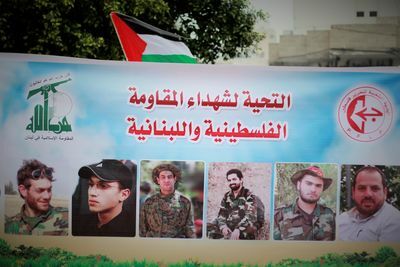 The rally was held as a show of solidarity with Hezbollah after one of their key figures and four other fighters were assassinated in an Israeli airstrike in the Syrian controlled Golan heights.